Asking students to read about rain forests or steelhead migration is all well and good, but at Eastwood Elementary School in Roseburg, teachers can make their lesson plans really come to life. Fifth-grade teacher Camron Pope, for example, worked with his class to orchestrate the planting of 450 Douglas fir trees at the school in February. Root systems, best planting times, digging holes the right away – such subjects become tangible in the grubby hands of grade-schoolers. And in March, students released 2,000 steelhead smolts they’d been studying into nearby Deer Creek as part of an Oregon Department of Fish and Wildlife Salmon and Trout Enhancement Program. Eastwood fifth-graders participate in the annual campout in May. The school’s emphasis on nature is reflected in the many ways classes make use of the campus, from third-grade nature days, where students take their lessons to the outdoors, to the yearly fifth-grade Camp Eastwood. 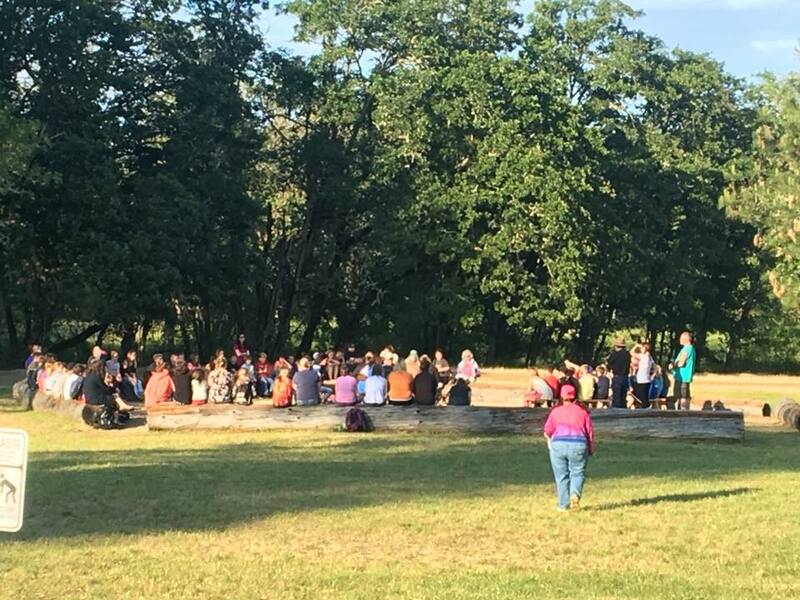 The annual event in May, coordinated by the fifth-grade team of Pope and fellow teachers Cindy Long and Erica Workman, is two nights and three days of camping, lessons and group activities. Experts in various fields volunteer to teach lessons at the camp. Some of this year’s activities included a study of macroinvertebrates; discussions about trees; lessons about maps, the Fibonacci math sequence and wildlife; demonstrations with animal skulls and pelts; watercolor painting; gold panning; and bird-house building. In the evenings, students performed skits and songs and learned about Native American culture, along with other group activities. A common description for the camp by these fifth-graders is “fun,” and some said they particularly enjoyed getting to share tents with their best friends. But the lessons and activities didn’t go unappreciated. 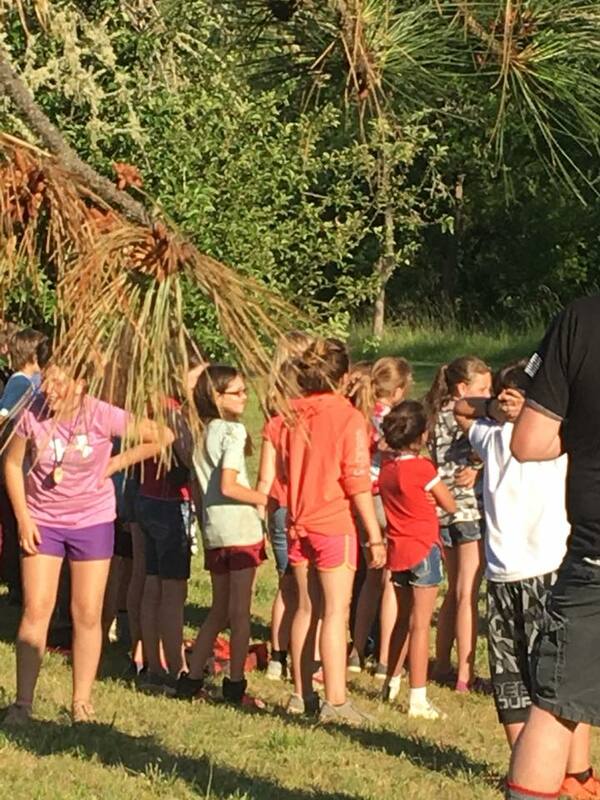 Mckenzie Fummerton enjoyed playing capture the flag and line dancing. Studying macroinvertebrates in the creek with Randy Chase, manager of the Umpqua Valley STEAM Hub resource lending library, was also a highlight. 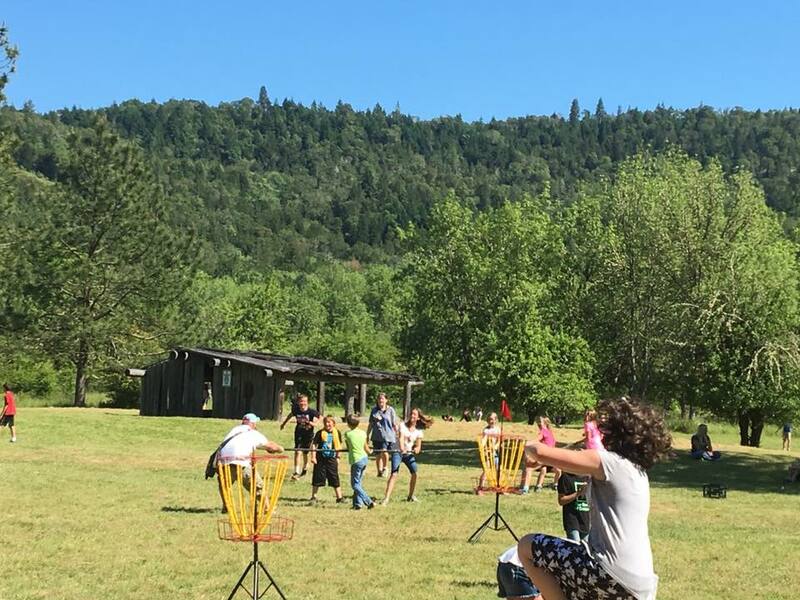 For the camp, as well as day-to-day lessons, Pope makes use of the tools and equipment available to all Douglas County teachers for free from the STEAM Hub lending library at Umpqua Community College. For example, his students used data loggers to graph and measure the flow rate of the steelhead tanks and Deer Creek earlier in the school year. Pope has also introduced coding to his students through the use of the lending library’s Spheros, spherical robots that can be programmed on smartphones or tablets. The Resource Lending Library allows teachers to borrow equipment, technology, kits, books and tools, all of which can be delivered to schools or educational sites through the UCC and Douglas Education Service District couriers. Some items available at the library include: Vernier Technical Equipment (tools for investigations around physiology, biology, chemistry and more); iPads (with stop-motion video app); solar car kits; family STEAM activity kits; hand-held microscopes for primary ages; Lego Mindstorm EV3 kits; and Makey Makey invention kits. Pope points out that using such technology and integrating STEAM education into all subjects help prepare students for the future. Using data loggers in a world full of hand-held devices and technology, for example, gives students a life skill as well as a job skill.